BGG Spring took place last weekend in Dallas, and SJ Games was represented by Randy Scheunemann, Devin Lewis, Hunter Shelburne, and yours truly. We had a blast premiering the I Hate Zombies Horde Night 48 player mega-game! Our first Horde Night event was Saturday evening. Randy acted as our main moderator. 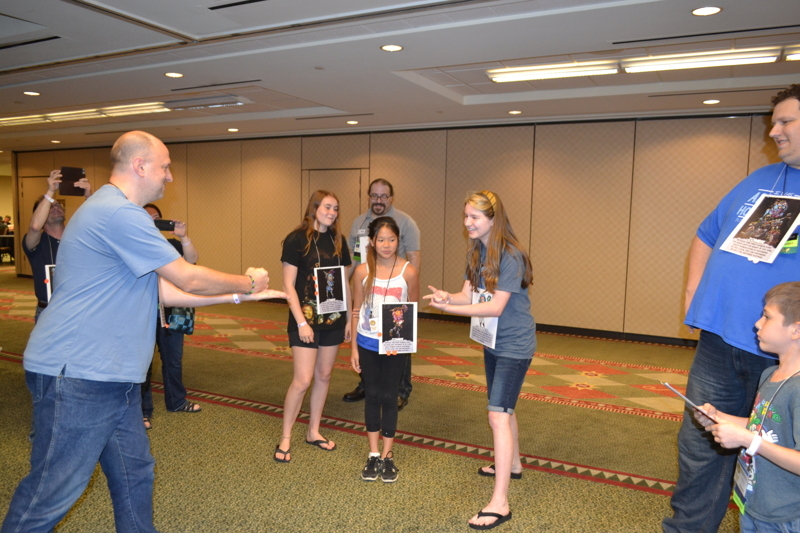 The character cards were distributed, and the the players were briefed on the rules. We had two pairs of moderators working on opposite ends of the circle and began the game. The players got the hang of the game right away, and they did their best to save humanity or eat tasty brains! After a frantic 45 minutes, the last human fell, and the zombies celebrated their success! I Hate Zombies promo cards of Spyke and Ernie the BoardGameGeek were given to all, and three lucky players got copies of the game. 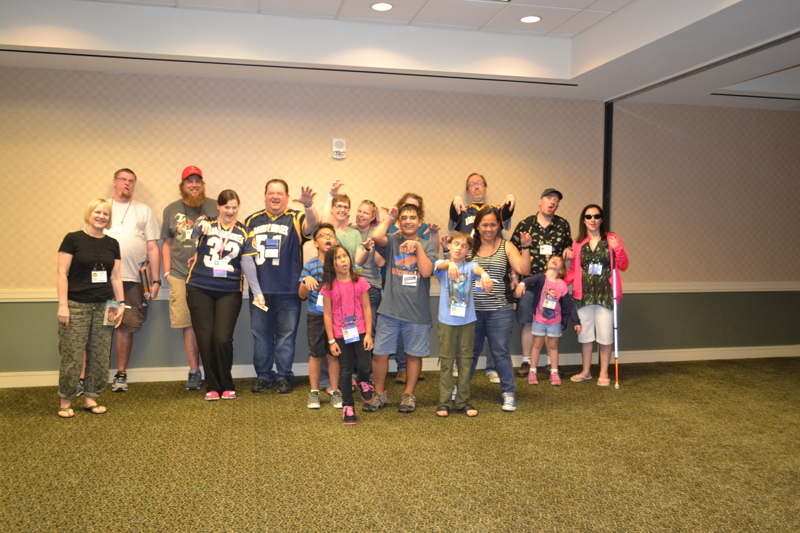 Sunday's game was a smaller event, with about 24 players, including a number of the BGG Con staff. After a short introduction, the struggle to decide the fate of humanity began! Despite a spirited defense, the human players could not hold back the growing zombie horde and were overwhelmed. 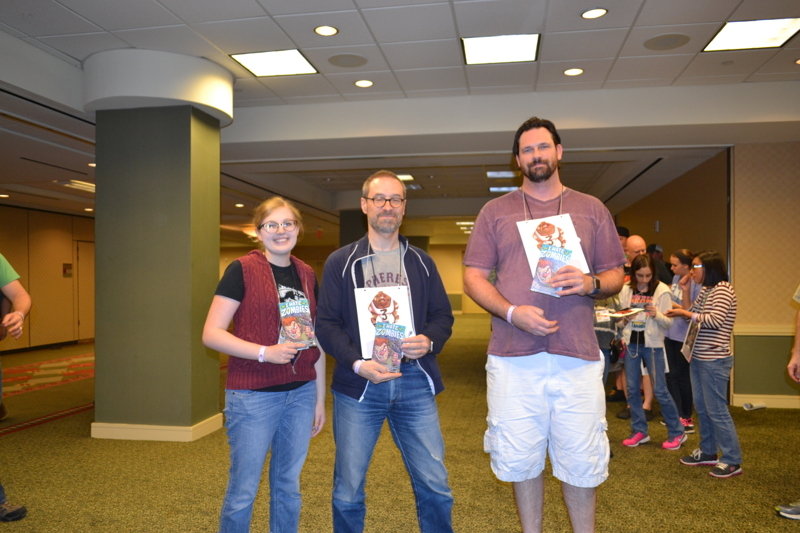 Like the night before, we gave out promos, and 3 more copies of I Hate Zombies! We had a great time running the game, and we're looking forward to doing again at other conventions! 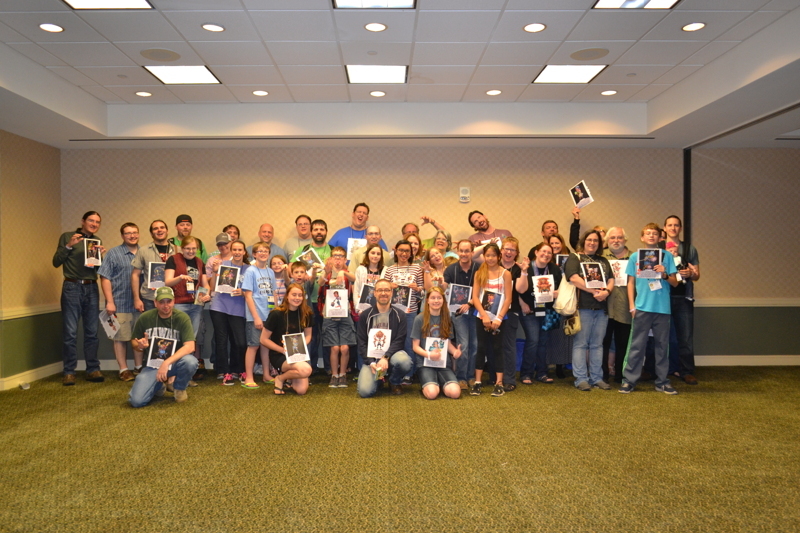 Thanks to everyone who participated, and to the BGG Spring staff for helping to make it a success. BRRRRAAAAIIIIIINNNNSSSS!! !